Home builders Toll Brothers tout themselves as "America's Luxury Home Builder." They are committed to quality and customer service and focus their attention on detail. They have won various awards centered around these goals. 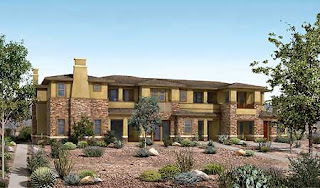 Toll Brothers in Las Vegas, Nevada has built several fabulouos communities. These communities have quality features and amenities to combine beauty with convenience. The commitment for quality keeps home buyers involved in the process all along the way. Newcomers can choose everything from layout to some of the finest details to ensure they are satisfied with their home. Toll Brothers claim they have won multiple prestigious awards including: America's Best Builder, National Builder of the year, and the 1995 National Housing Quality Gold Award. If you would like to explore Toll Brothers homes in Las Vegas please get in touch with a real estate agent who can answer your questions.